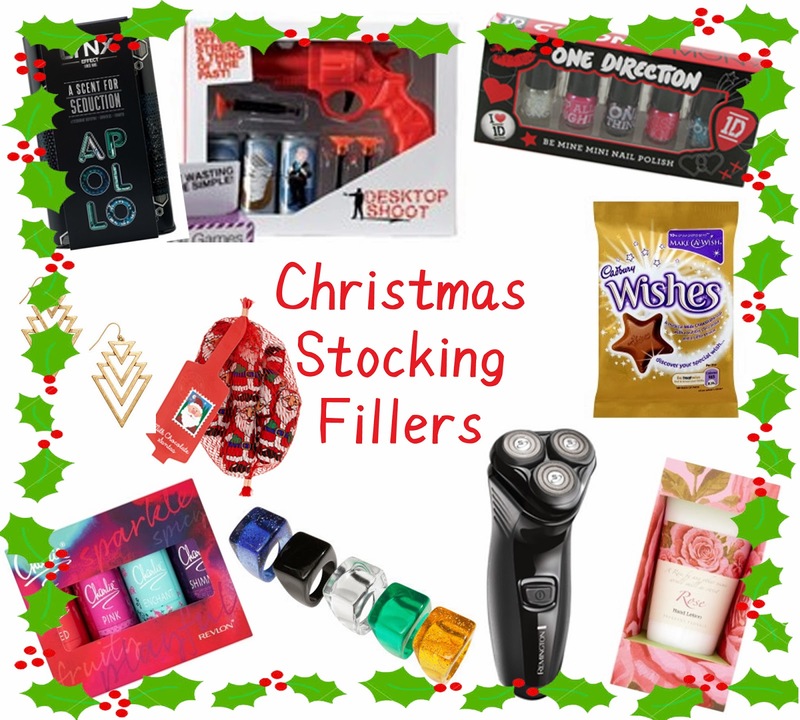 This little tin is perfect for a stocking as it is quite small and contains three different products from Lynx. You get a body spray, shower gel and shampoo. I've bought this for the past few years for male friends so I know that this is the perfect small gift. This is something I've actually got my Dad this year, because he loves this sort of things and he's normally quite happy even without a gift, so this is perfect for him! It comes with three plastic cans to shoot at for practice and the pellets are suckerpads so cannot injure people! I saw these while out shopping and thought that these would be perfect for anyone with teens who like nail polishes or anyone who is a 1D fan! 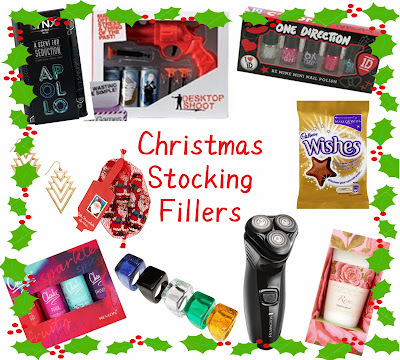 These are in a small box, so again these are perfect for a stocking, and there are many other brands and companies that do small sets like this, so you can go for any of them! This little bag of chocolate stars are a nice little treat for Christmas day and for such a cheap price, you can get these for many people! There are other little treats like this from Lindt and Nestle, so a nice variety are on offer. I always buy a small one of these every year to accompany some gifts for people as they are nice and small and I have a lot of people in my family that like hand creams, so this one with a nice flowery scent is perfect! A classic gift for men is a shaver of some sort, and this one is a nice size to squeeze into a stocking, and will hopefully be suited to someone you know! I've never bought one for a gift before, but family members have and it's always gone down pretty well! This little five piece ring set is just a small something for anyone who like fashion rings or just a little bling in general. There are loads on offer, but if you want something cheaper for a stocking filler, rather than a main gift, then these are perfect. I am forever buying these and receiving these as gifts each year, due to them being quite popular when I was at school! It's like a little nostalgic gift for me and my friends when we get them! I've tried to keep away from these this year and get other gifts, but these are amazing for small gifts. You can find these in any supermarket or drugstore around Christmas as they are tiny enough for stocking fillers and are quite a nice little treat for anyone. I prefer the chocolate coins, but these have that little festive touch to them that makes them irresistible! A nice little pair of earrings are perfect for Christmas, and in this nice golden colour, they are slightly festive! Like the rings, they are the perfect small gift alongside a bigger one and are perfect as a stocking filler!